Enduring anthem “The Hockey Song,” written and originally performed by iconic Canadian singer Stompin’ Tom Connors, will be inducted into the Canadian Songwriters Hall of Fame (CSHF) in a ceremony on Saturday, Oct. 27, 2018, in partnership with the Toronto Maple Leafs. 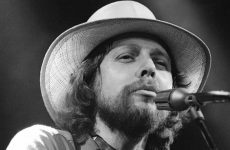 Released in 1973, the beloved song is celebrating its 45th anniversary, as a staple tune played throughout North American NHL arenas, and at every Toronto Maple Leafs home game. 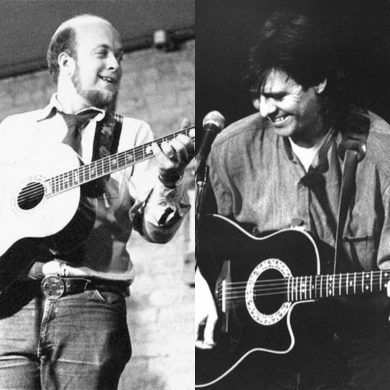 The quintessential Canadian song about the quintessential Canadian game, “The Hockey Song” is the most well-known example of Connors’ ardent nationalism. 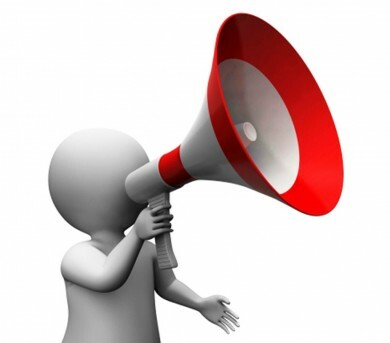 In Tom’s typical novelty-song style, his three verses correspond to the three periods of a hockey game, delivered in the style of a play-by-play announcer – endearing it to fans and players alike. Stompin’ Tom was often invited to perform it at NHL games, and his song became not only a hockey theme, but also an unofficial Canadian anthem. “The Hockey Song” has been recorded by Corb Lund, George Canyon, The Good Brothers, and Avril Lavigne, and Connors’ original version reached No. 29 on the Billboard Canadian Hot 100 chart on March 23, 2013, a few weeks after his death. 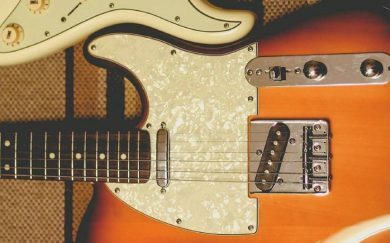 On Oct. 27, Tom Connors Jr. – son of late Stompin’ Tom Connors – and family will be presented with a plaque recognizing the song’s induction. The CSHF will present the plaque before the Maple Leafs versus Winnipeg Jets game at Scotiabank Arena, home of the Toronto Maple Leafs. Chart-topping, award-winning Canadian artist Tim Hicks will also perform “The Hockey Song,” live, before the game. 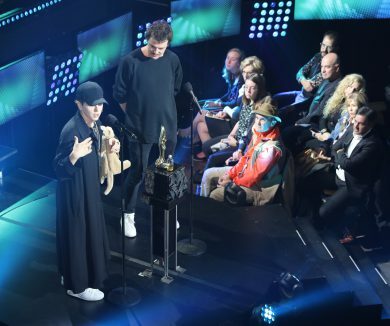 The marathon of Félix awards began on Oct. 24, 2018, with the Premier Gala de l’ADISQ, as well as the Industry Gala, in Montréal, where a total of 41 trophies were handed out. 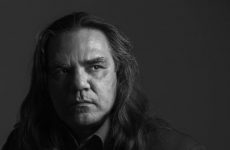 Among the winning SOCAN members was, of course, rap sensation and winner of the 2018 Prix de la chanson SOCAN, Loud, who walked away with the Most Successful Artist Outside of Québec Award. He recently won the Breakthrough and Urban Music honours at the Montréal SOCAN Awards Gala and, during his winner speech at ADISQ, he thanked SOCAN for its support during the past year. Hubert Lenoir, co-winner of the 2018 SOCAN Montréal Gala’s Breakthrough Award, won the ADISQ Album of the Year, and the Critic’s Choice Award for his superb Darlène. Philippe Brach won Album of the Year – Alternative for Le silence des troupeaux and Galaxie won Album of the Year – Rock. Arcade Fire’s latest album, Everything Now, won the band the award for Album of the Year – Anglophone, and The Barr Brothers won Concert of the Year – Anglophone. 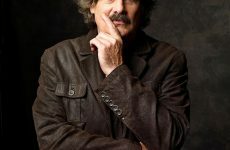 Jordan Officer’s Three Rivers was chosen as Album of the Year – Jazz, and the musician also gave a performance during the ADISQ gala, which was televised on Télé-Québec. On the folk side of things, Tire le coyote won his first Félix for Désherbage, while Pierre Kwenders won Album of the Year – World Music for Makanda, at the End of Space, the Beginning of Time. Yoan won the same prize in the country music category for Depuis longtemps, and Martin Lizotte walked away with the trophy in the instrumental category for Ubiquité. The Félix in the roots category went to De Temps Antan, a first award for the band. In addition to Jordan Officer, several SOCAN members performed during the Premier Gala, hosted by Marie-Mai and Yann Perreau: there was a beautiful duet by Beyries and Gabrielle Shonk, an energizing song by Émile Bilodeau, an uptempo Latin number by Boogat, Dumas’ irresistible dance groove, as well as Mara Tremblay’s luminous performance. 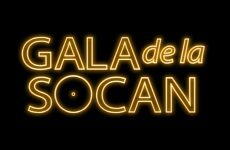 This 40th annual celebration of Québec’s music industry will conclude Oct. 28 with the televised Gala, which will once again be hosted by comedian Louis-José Houde, and broadcast on ICI Radio-Canada Télé, live from the Salle Wilfrid-Pelletier of Place des Arts. For a complete list of the Premier Gala and Industry gala winners, visit the ADISQ website. 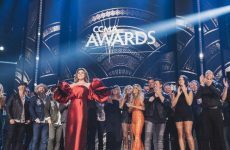 The Québec country music community gathered at the Mont Tremblant Casino on Oct. 20, 2018, for the sixth edition of the annual Gala Country, hosted by MC Gilles. 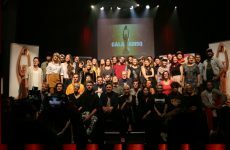 A total of 13 awards were handed out during an evening celebrating the success of Canada’s Francophone country music artists in the past year. Amélie Hall won the SOCAN-sponsored Song of the Year Award, for her song “Au bout du monde” (“To the Ends of the Earth”), published by Éditions Art illimité and Les Cent noms. 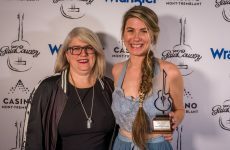 The Acadian artist – who also won Best Album of Original Material of the Year, and shared the Songwriter of the Year honour with Danny Boudreau – received a $1,000 cash prize, and a stay at the SOCAN House in Nashville. 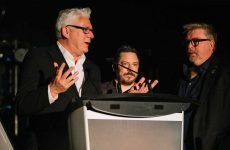 The Gala Country provided the finale for the Célébration Culture Country, the inaugural edition of a gathering of industry stakeholders for three days of training sessions, showcases, and award presentations in Mont Tremblant. Geneviève Côté, SOCAN’s Chief of Québec Affairs, and David Charest, Account Manager, Member Services, presented a workshop on copyright hosted by Sébastien Charest, a copyright management consultant, and including representatives from ARTISTI and SOPROQ.